With the New York Giants expected to select a quarterback with their highest first-round pick at No. 6, it allows them to address other areas of need with the No. 17 pick acquired from the Odell Beckham Jr. trade. The defense would seem to be the most obvious allocation of draft capital, but general manager Dave Gettleman prides himself on building the offensive line, and he’s only a right tackle away from completing his mission. The Giants offensive line features a big improvement with Kevin Zeitler projected to man the right guard spot. The clear weakness is Wheeler on the right side with a 47.4 grade, according to PFF. 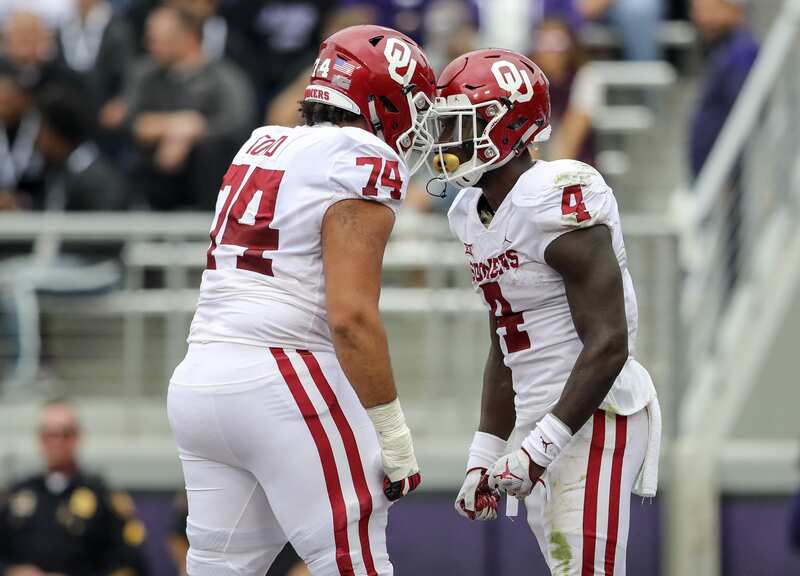 The Giants could look toward Oklahoma tackle Cody Ford to fill the position and solidify the line for years to come. It’s possible Gettleman chooses to wait until the second-round to acquire a new tackle, but if Ford is on the board at No. 17 it should be an easy decision. What would Cody Ford bring to the Giants? With a rare combination of size, mass, and athleticism, Ford brings a versatile skill set that will allow him to translate well at the NFL level. He has the capabilities to play guard or tackle, which boosts his value even further – if he fails at tackle, he can switch over to the inside and test his luck there. The one thing he struggles with is speed, and the NFL will offer far more talent and challenging opponents that bring different moves and maneuvers. His pass protection is all over this place, which attests to his high-risk, high-reward stock. If he can develop his balance and body control, there’s no question that Ford can end up being a cornerstone piece on the offensive line. Two other offensive tackles that could be targeted are Andre Dillard and Dalton Risner. Both have high upside but could be potentially snagged in the second-round. If you’re interested in learning more about these two options, read the article linked to this text.